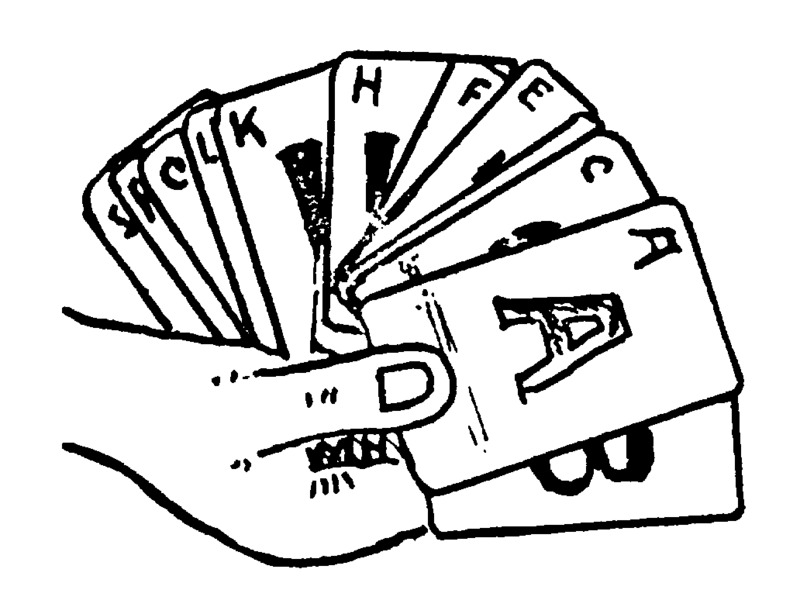 15.00 These ungimmicked alphabet cards are great replacement for tricks with regular playing cards. 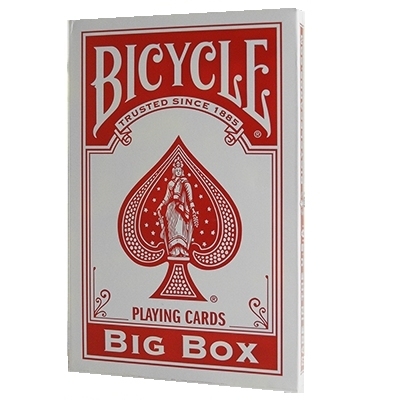 Since letters are easy to remember, these cards are great for doing cards tricks for children. 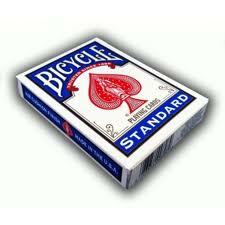 4.00 Same as above except that these cards are red backed. 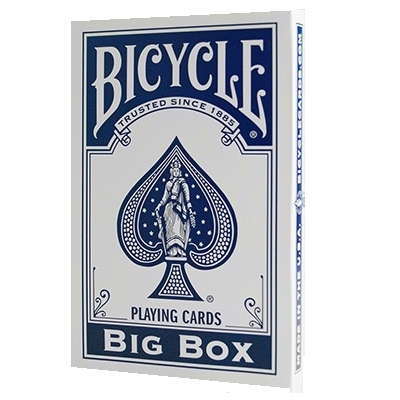 4.00 Regulation blue Bicycle brand poker sized playing cards, the industry standard cards for magicians worldwide. 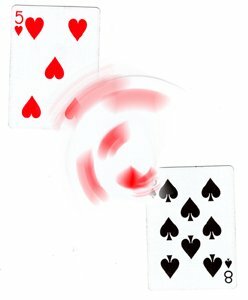 25.00 A user-friendly deck of marked cards! 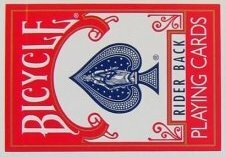 These easy-to-read marked cards are printed on the world's most popular cards - Bicycle Rider Backs, manufactured by the world famous US Playing Card Company. 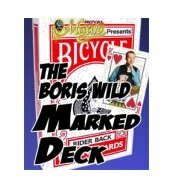 The Boris Wild Marked Deck is a dream to use. Wild's system is recognized as the finest ever developed. 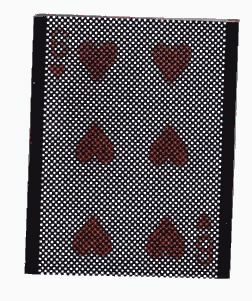 The marks are hidden in plain sight - easy for the magician to read, yet completely invisible to the uninitiated spectator. 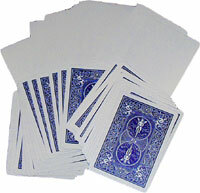 0021NUFFI00150 or 0021RUMBORISWILDMARKED_BLUE Included with each deck are complete instructions that detail its working, along with several tips, tricks and ideas that you'll be performing right away! Easy enough for a beginner to use, but the perfect professional performance tool, as well. 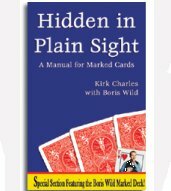 15.00 Hidden in Plain Sight is the most complete manual for marked cards ever published. Author Kirk Charles, a long-time professional magician, has written a book that explores this most powerful of all magical tools in great detail. From the history of marked cards to more modern developments in "reader" technology, Charles breaks down the advantages, disadvantages and nuances you'll need to know. You'll learn about commercially available decks as well as how to prepare your own custom-marked pack.